Hire this venue for your own event - it has nine function rooms the largest of which can hold a maximum of 500 guests and the smallest is ideal for 12. As the national library of the United Kingdom the British Library is renowned for its world class collection of books but its Conference Centre is something of a hidden gem. 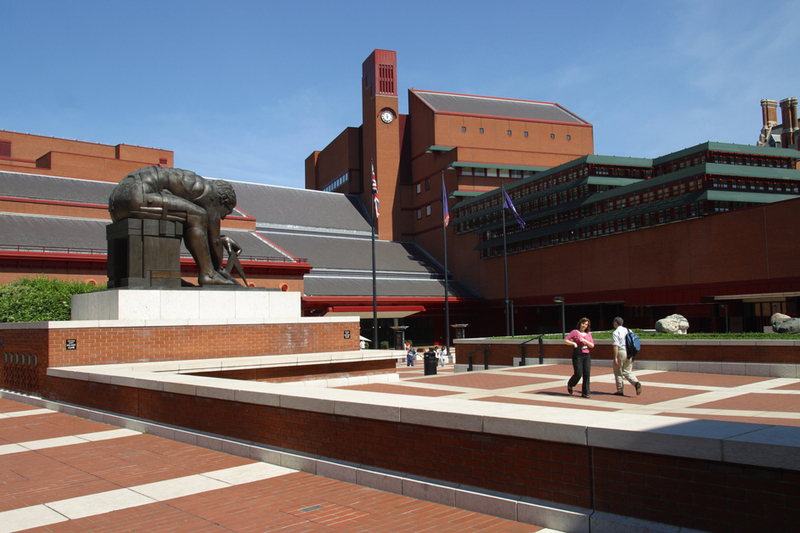 Opened in 1998, the state of the art British Library Conference Centre has its own private entrance from the piazza and offers a permanent space for conferences, meetings, product launches, lectures, private screenings and media events. The auditorium can accommodate up to 255 delegates, with facilities for simultaneous translation, film, sound and video presentation. In addition, there are five comfortable and individually designed meeting rooms allowing for 8-70 delegates. All rooms - named after Chaucer, Bronte, Dickens and Eliot - have natural daylight, electronic blackout blinds, climate control and sound proofing. The foyer and bar area with their seating nooks are an ideal location to break out and enjoy less formal discussions. Refreshments are provided by the library's team of in-house chefs. From cheap budget places to stay to luxury 5 star hotels see our discounts for British Library Conference Centre hotels, including Hilton London Olympia Hotel from 64% off.